Mary Bell R.N.C. is a spiritual healer, author, teacher, and channel who has been in private practice for over twenty years. Her passion has been to bring ease and grace into the transformational process. She specializes in understanding and integrating the shift of consciousness that is occurring on the earth plane. Mary offers a unique blend of new age and traditional spiritual philosophy in her approach to healing, which makes her work appealing to many different people. Her background in O.B. nursing and her study of psychology through Bioenergetic Analysis, prepared her for a direction in her work in which she is able to find the root of any issue and heal it at its core. She is a graduate of the Barbara Brennan School of Healing, Awakening Your Light Body, as taught by Sanaya Roman and Dwayne Packer, and has been teaching her own work since 1995. Mary taught nationally with the Healing Touch program before she developed her own healing schools. She teaches both online and in person seminars through the Foundation for Unity Consciousness. Her seminars have been sponsored by the American Holistic Nurses and the Association for Humanistic Psychology. Mary sees clients in private practice. She also conducts seminars for personal healing as well as professional training and supervision for healers. In her seminars, she will help you attune to Unity Consciousness and to integrate that energy as you learn to work from that level of consciousness with new energy tools. 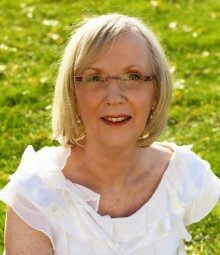 Mary writes many articles that are available on this website and has published her first book Kicking and Screaming to Enlightenment, A Journey to the Real Self which can be purchased at www.kickingandscreamingtoenlightenment.com. Call her at 808 651-2045 to schedule an appointment. **Mary is available for speaking engagements. Spiritual healing is very different than physic reading, although it may contain it. Nor is it faith healing or a power that one possesses. It develops through a process of conscious alignment with higher levels of consciousness and personal development through which one is able to act as a conduit for spiritual energy, grounding it,integrating it, and allowing oneself to be utilized as a vehicle or a servant for Spirit or for God. Spiritual healers, by themselves, don’t have the power to heal anyone. They learn to hold spaces of energy where healing can occur through the intention of the recipient and the grace of God. They learn to do this work through intensive study of energy fields and how they work. They learn to ground energy through themselves in specific ways, and they do personal work for purification of their own psychological and spiritual issues. It is only through the healing of oneself that a healer can learn this work and be of help to someone else. Amazing things can happen through spiritual healing!